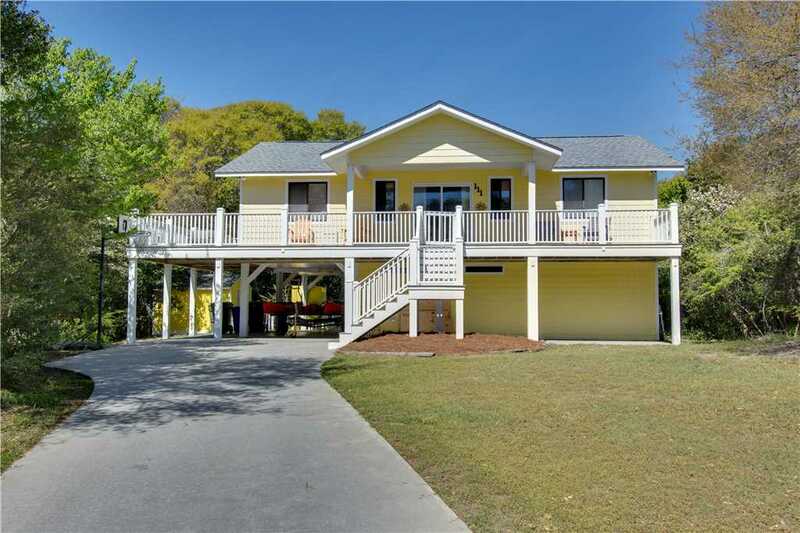 Just like the name sounds, this week’s featured property, Paradise City, is truly a paradise nestled in Emerald Isle. Just a short, breezy walk from the ocean, this vacation rental provides unmatched privacy and stellar island vibes all packaged into one. 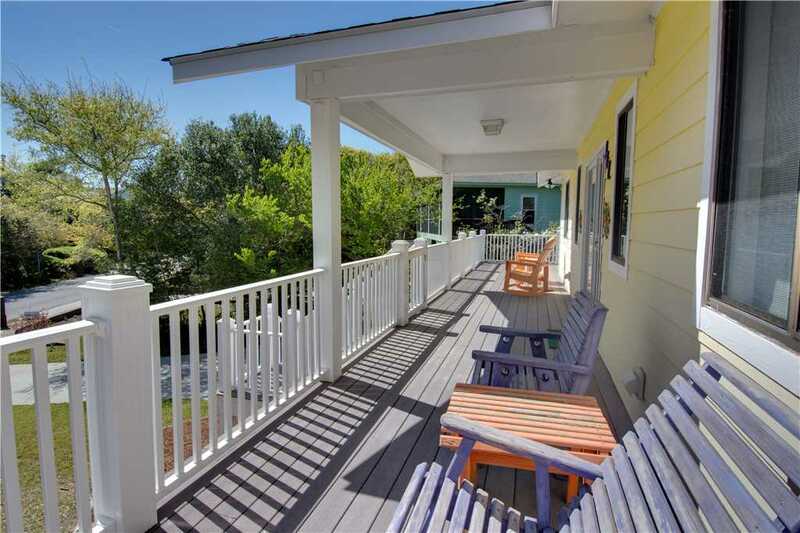 This quaint, middle row cottage boasts 4 bedrooms and 3 bathrooms, with more than enough space to entertain inside and out for your family or group. 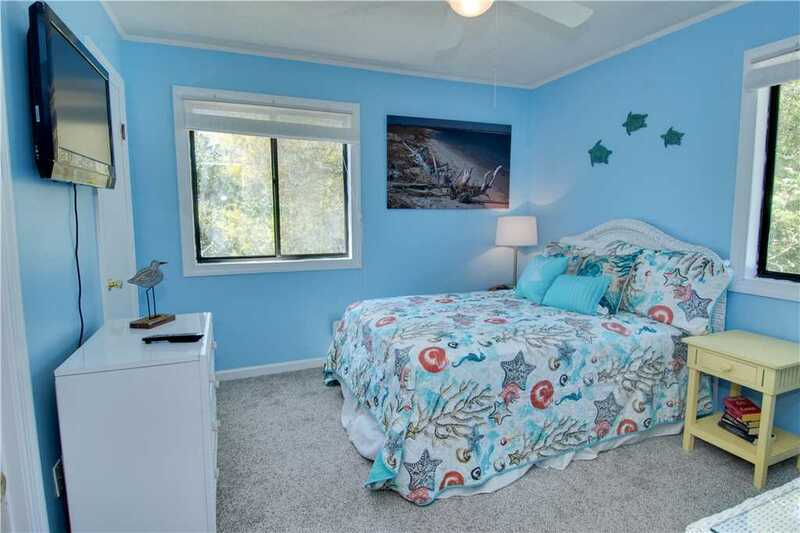 Paradise City boasts four serene and inviting bedrooms and three bathrooms, making it the perfect size for families or a small group of friends. 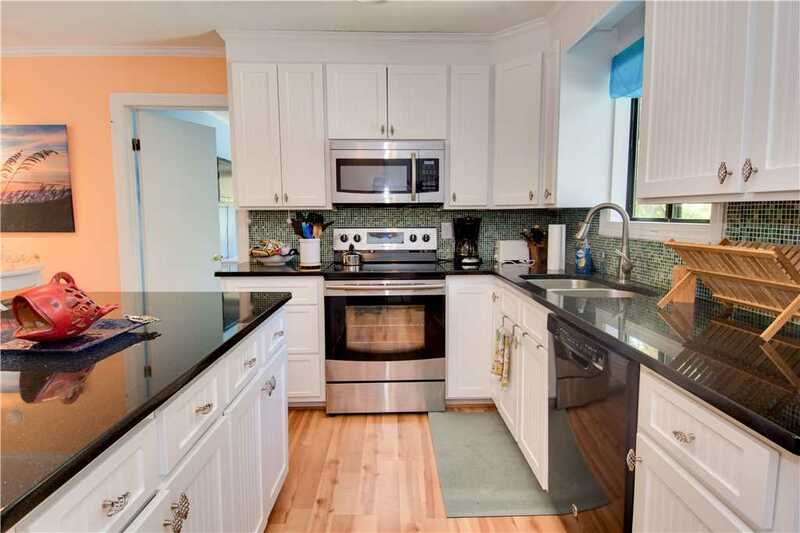 The property has a spacious kitchen with granite countertops and opens up into a dining space with plenty of room for everyone to enjoy a meal together. 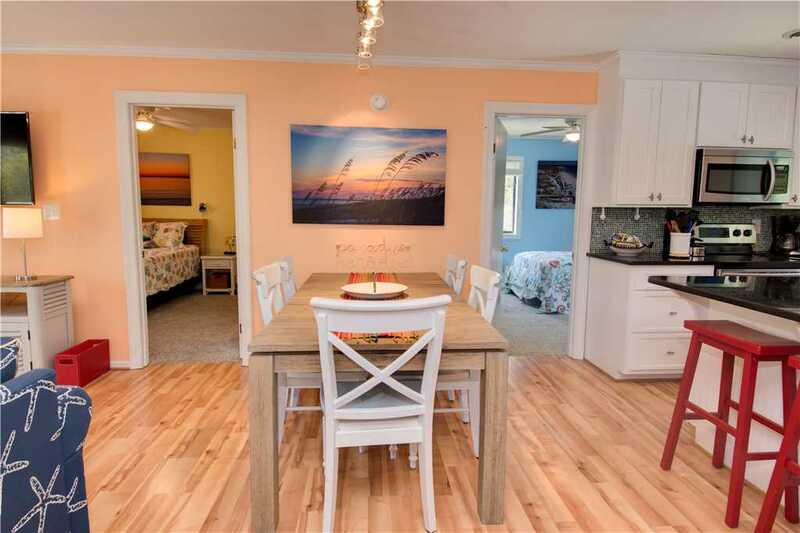 Within the four bedrooms, you and your guests will enjoy all the comforts of home paired with breezy beach décor and warm colors that will have put you in that beach state of mind! 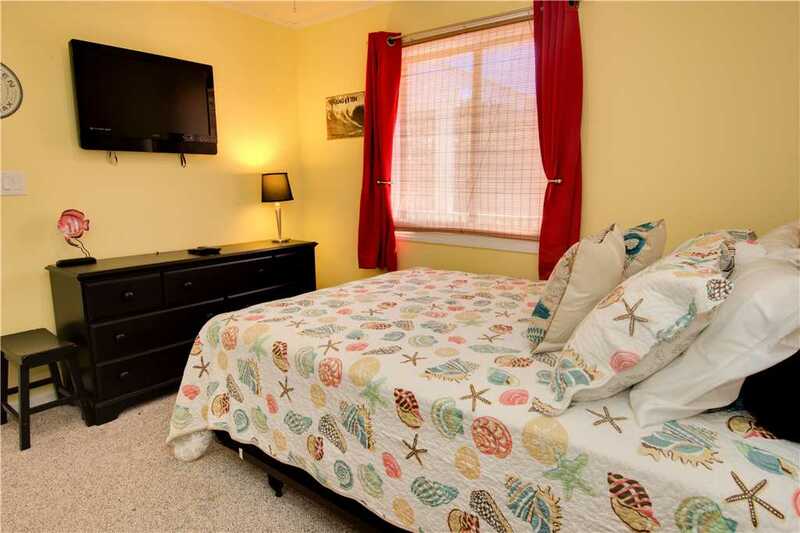 2 of the rooms are equipped with queen size beds, and the 3rd room includes a double bed. The kids will enjoy their sleeping quarters with bunk beds available in the 4th room. While the bedrooms are cozy, and the kitchen is spacious, there’s one room in the house that will be hard for your family and friends to pry themselves away from. 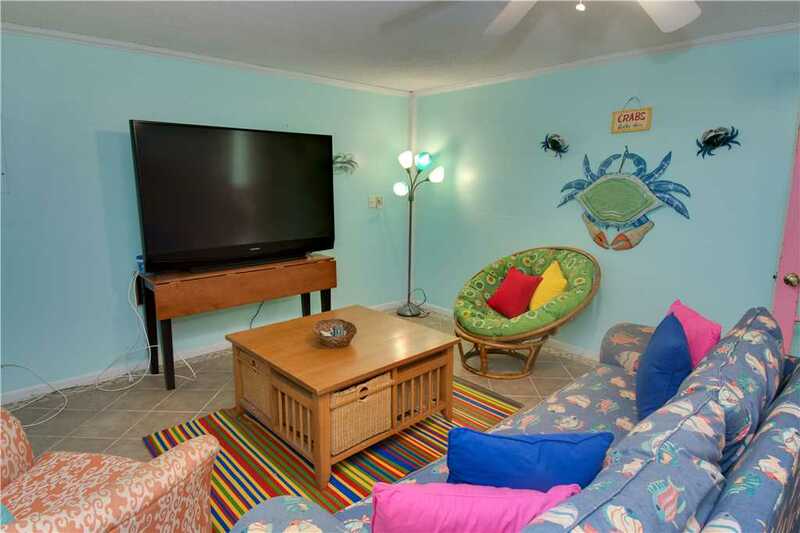 The ground level of the property features a media/game room complete with a foosball table and a flat screen TV that looks like it belongs in a movie theater. 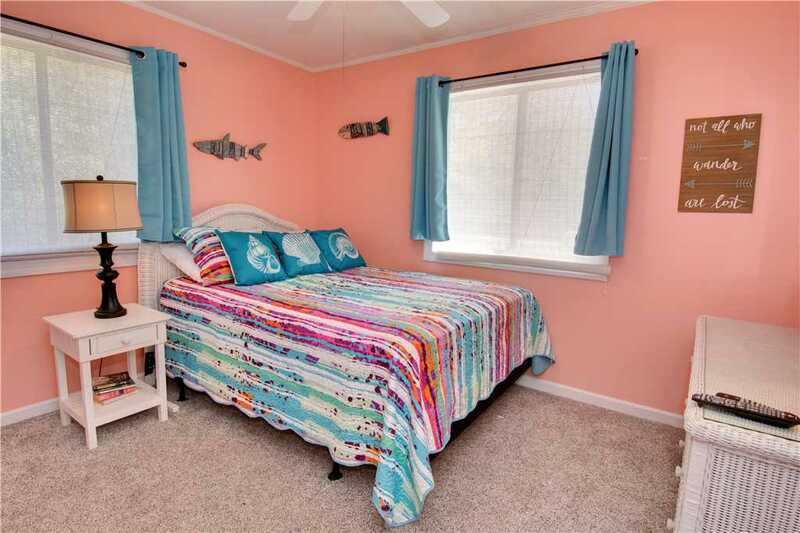 With this room being downstairs, you’ll have peace of mind as knowing the kids can escape to have fun while you wind down from a busy day at the beach. When you step outside to the backyard, you’ll discover yet another paradise where the grass is green, and the views are pretty. Paradise City has a very private fenced-in backyard that also includes a lush tree line for even more privacy when taking advantage of your very own swimming pool. If you prefer to lounge poolside, there are spacious covered and open decks and a large screened porch that overlooks the pool and yard. 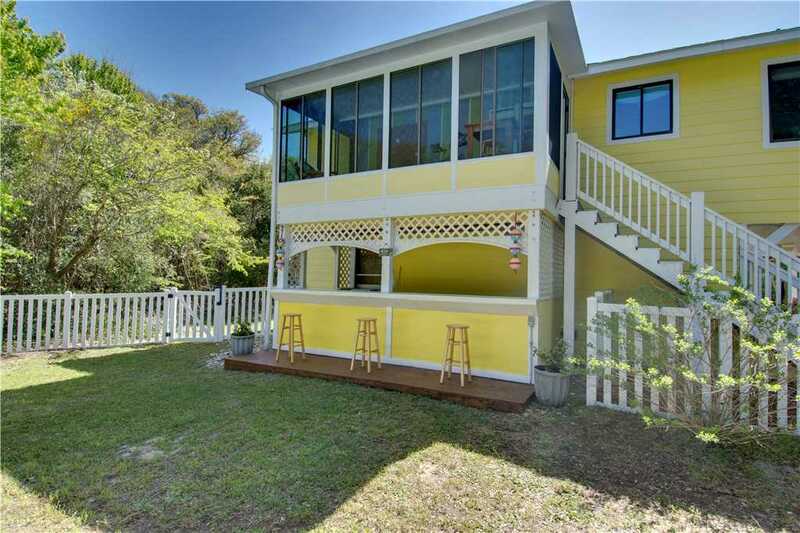 While the kids splash and play, kick your feet up and take in the rejuvenating Emerald Isle sun and breeze! 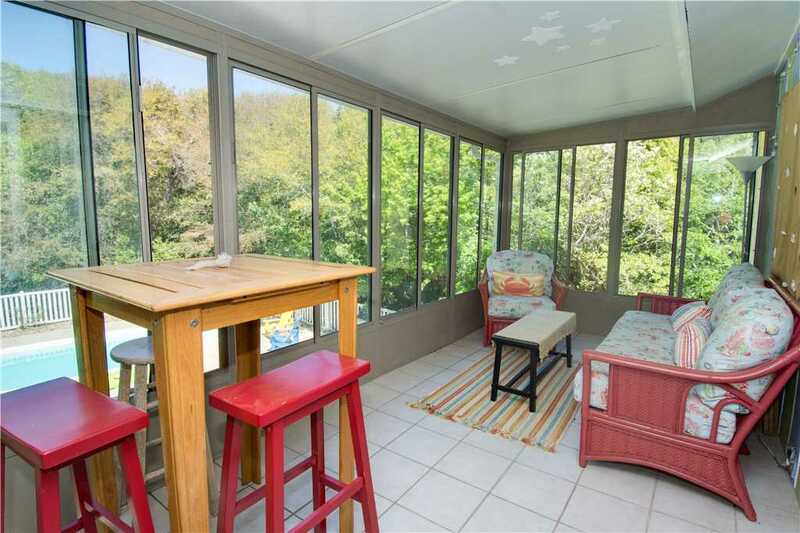 The backyard also features a gas grill and an enclosed hot/cold outdoor shower. 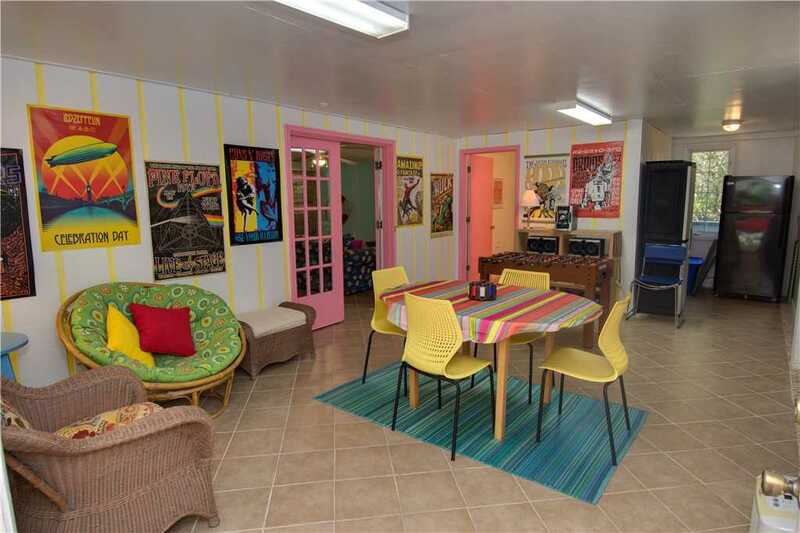 Paradise City is also a pet-friendly rental property, meaning you and your favorite pup can enjoy the backyard together. They will certainly enjoy their vacation and thank you for the room to run! Of course, the reason you’re in Emerald Isle is to visit the beach and take in the beauty of the Crystal Coast. You can do just that because Paradise City comes with its own beach cart to make the short trips back and forth to the beach even easier. Being close to the beach is hard to beat, but Paradise City is also close to Emerald Isle Bike Path where an afternoon bike ride has never sounded nicer. But don’t worry, there are plenty of opportunities to rent bikes for this fun family or group activity. 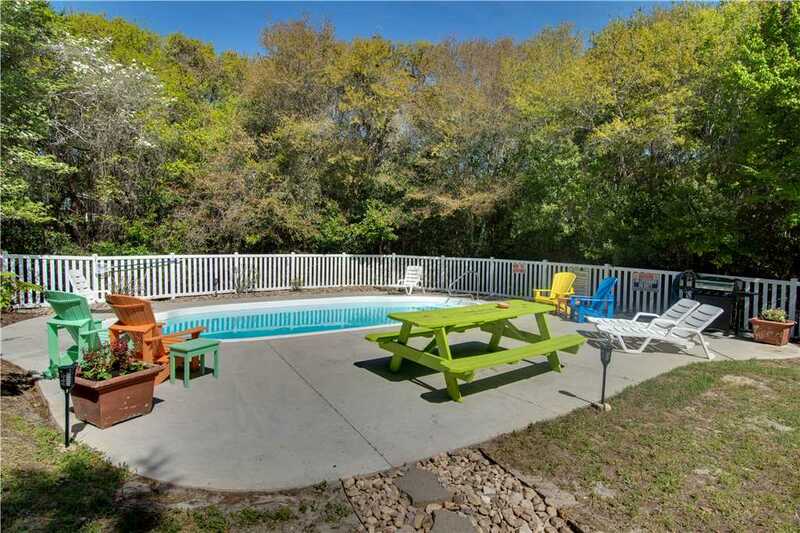 This vacation rental is also just a short distance from many Emerald Isle restaurants and fun shopping opportunities where you can find a piece of the Crystal Coast to take back home with you. If like local adventures, take in a few sights with a scenic drive to Cape Lookout National Seashore or explore the wonders of the sea during a stop at the North Carolina Aquarium. 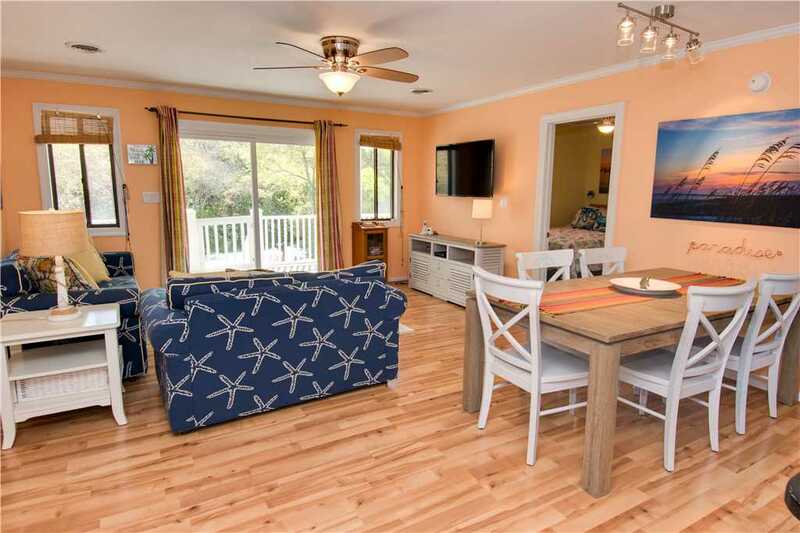 Paradise City is ready to become your personal paradise, even if only for just a long weekend stay since the property offers nightly rentals year-round. 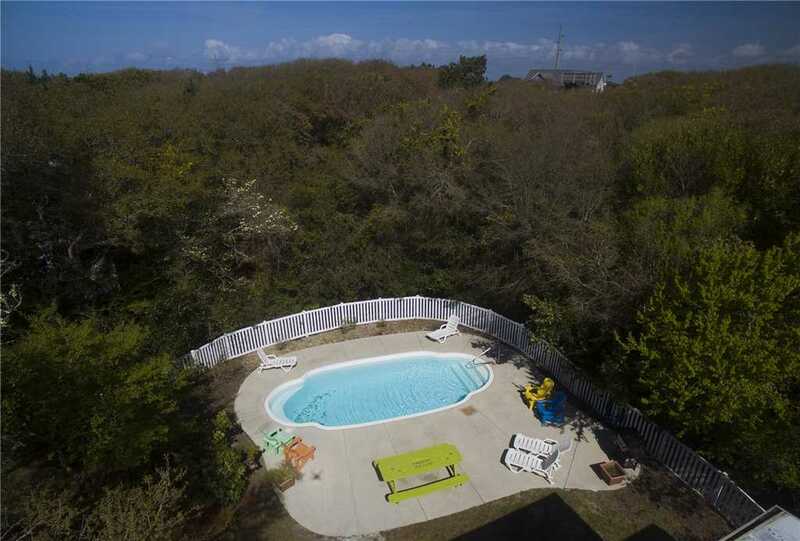 View more photos of this exceptional property and check availability to plan your vacation along the Crystal Coast!